We all have been faced with the dilemma of what we could do with our old things at some point in our lives. Instead of throwing it away, donate them to these organizations in Pune, who make sure they’re utilized in furthering a good cause. A wide-spread not-for-profit organization, Goonj has been growing rapidly in its efforts to make clothing a very important aspect of development. They have numerous dropping centres across the country. Though it does not have an office in Pune, you can still donate your clothes at the Levi’s Store in SGS Mall on Moledina Road. A youth initiate, RISO organizes various programs like educational programs, medical camps, women empowerment programs etc that works to achieve a world of self-empowerment and independence. You can donate everything from clothes, books, stationery etc to even offering to help out with their brand management and website designing. Established in 1934 by Dr. S.R. Machave, the school has come a long way from its humble beginnings in Somwar Peth. They currently run five institutions, the most famous one being the premises in Koregaon Park, ahead of O Hotel. You can donate raw food materials like rice, wheat, oil etc and even stationery/equipment for Braille, furniture, books and clothes. This organization focuses on the relationship shared between a parent and a child and how the coming together of many parents can help resolve many common problems. It acts as a forum in teaching parents new skills and allowing them to voice their concerns. 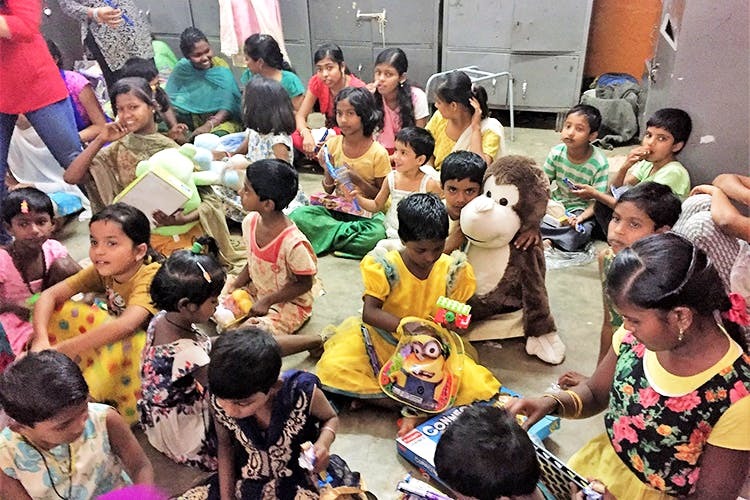 Their other activities like Khelghar benefit children living in slums by providing ‘education for the deprived.’ They accept all kinds of donations like clothes, toys, CDs, books that help in their Khelghar project. Though it isn’t an NGO that undertakes various activities to better society, it acts as a middleman between NGOs in need of donations and the public. Simply visit their website where you schedule a pick-up from your house. They will then show the NGOs near you and what kind of donations they would require. All you need to do is select one that suits the items you wish to donate and they will do the rest, all for a small charge of INR 200. Their partners will even reward you with a free gift, as a form of gratitude for making a donation.